Other uric acid lowering medications. Natural uric acid diet improvements. I wrote Allopurinol Alternatives for GoutPal Seekers. GoutPal Seekers know they must lower uric acid. But, they are not certain of the best way to treat uric acid. So, this article introduces ideas about alternatives to allopurinol. Then, GoutPal Seekers can decide if they want to become GoutPal Patients, GoutPal Herbalists, or GoutPal Dieters. 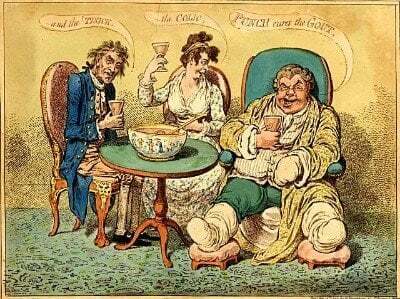 If you are not certain which type of gout sufferer you are, please read Questions for Gout Sufferers now. A young female visitor asked about allopurinol alternatives, as she feared Steven-Johnson Syndrome. Why do people seek allopurinol alternatives? Are medical allopurinol alternatives safe? Are over the counter alternatives to allopurinol effective? Before we look at these questions, it helps to know what Steven-Johnson syndrome is. Steven-Johnson syndrome (SJS) is an immune system reaction, which varies from case to case. It can be mild irritation of the skin and mucous membranes. But severe cases might be fatal rashes and inflammation involving the entire body. The reaction appears, from several studies, to be associated with certain genes. Pictures are horrific, so they generate fear in potential allopurinol takers. Also, there is an associated condition called Toxic Epidermal Necrolysis (TEN). So, you must take it seriously if you get any reaction to allopurinol, or any other gout treatment. However, you must realize that this allopurinol side effect is rare, and fatalities are one or two cases per million. Even then, they are down to bad allopurinol dose management. Because, if you start allopurinol with 100mg dose for 4 weeks, you can see if you are at risk. Arrange for blood tests towards the end of this trial period. Kidney and liver function tests will confirm that you have no reaction. Then, uric acid tests indicate how to increase dosage to get uric acid below 5mg/dL (0.30mmol/L). Furthermore, recent advances in medical science have produced allopurinol screening tests for high risk groups. Remember, that despite the horrific nature of rare SJS and TEN, it is dangerous if you do not treat gout. Because excess uric acid will always result in horrific, disfiguring tophi, and crippled joints. Therefore, doing nothing about uric acid is dangerous. So, if you have gout, you must quickly start allopurinol, or find an alternative. 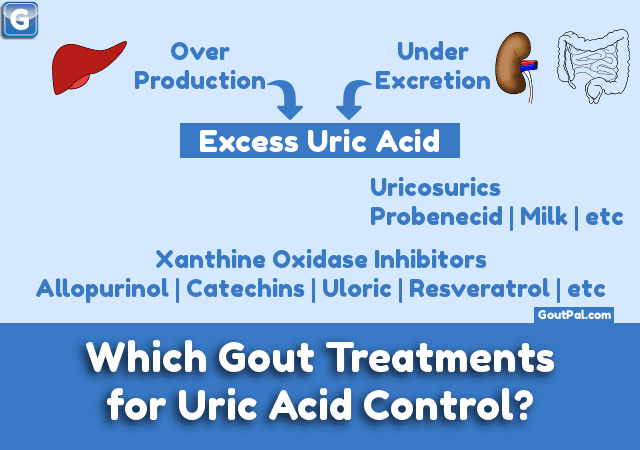 There are other gout medications to avoid gout by lowering uric acid. Those pages include febuxostat (Uloric/Adenuric/Feburic) which works in a similar way to allopurinol by lowering uric acid production from inhibiting xanthine oxidase. Alternatively, uricosurics such as probenecid lower uric acid levels by encouraging excretion. Many people are reporting effective uric acid treatment from combinations. Finally, there is a new medication that breaks down uric acid. Pegloticase (Krystexxa) is for extreme cases. Then, there are other new drugs being developed as alternatives to allopurinol. Although many gout sufferers ask me about over the counter allopurinol, there is no such thing. However, there are herbal meds that inhibit uric acid production. Also, some foods restrict uric acid production, acting as natural allopurinol. Guest writer articles have reported on a herbal combination therapy for lowering uric acid. I have noted that there are many investigations into plant-based ways to treat gout. So, I will continue to report on these as more discoveries are made. Many of these gout investigations have looked at plants used in traditional medicines in several countries. Banaba Extract, or Banaba Tea. Now, you can see there are many alternatives to allopurinol. But, please note: testing is just as important with herbal and natural gout treatments, as it is with gout medications. Whether you take allopurinol, or one of it’s alternatives, you must take regular blood tests to ensure uric acid remains safe at 5mg/dL (0.30mmol/L) or below. Also note, I have nothing against allopurinol. Because it works marvelously well for me. But, other gout patients show reluctance to starting allopurinol. Most important to me, is getting effective uric acid lowering treatment, to keep you at safe levels. I hope that, with more choices, more people will be committed to controlling their uric acid. You can ask about alternatives to allopurinol in the gout support forums. Finally, be aware that new alternatives to allopurinol are being developed or discovered. Also, I am reorganizing my information for Gout Seekers to match my 7-step plan. So, you should read other GoutPal Seeker Undertakings To Treat Gout. If you do not want to miss my reports about new ways to treat gout, please sign-up for the free update service. Leave Allopurinol Alternatives to browse allopurinol guidelines. the document change history, click the GoutPal History image on the right. Do you have suggestions for improving Allopurinol Alternatives? Then, please add your comments to Improving Uric Acid Therapy Information for Gout Sufferers. Or, send the Feedback Form, below.